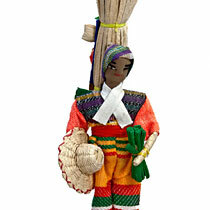 Honduras fabric female doll. 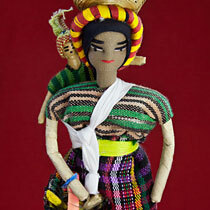 Her extremities are made with wire that is covered with masking tape. 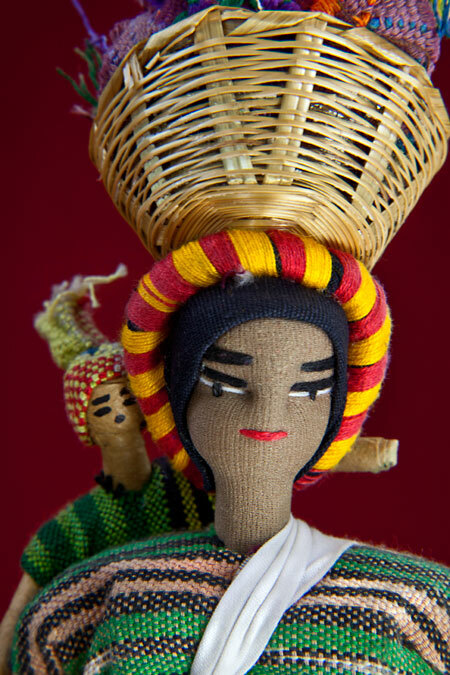 Her facial features are embroidered on her face. 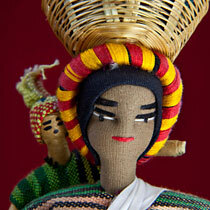 She has a straw basket on her head, and a headband made of yarn. 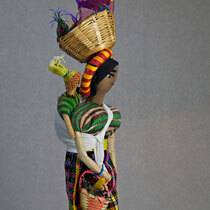 She is wearing a colorful woven blouse and skirt, and holding a straw basket. 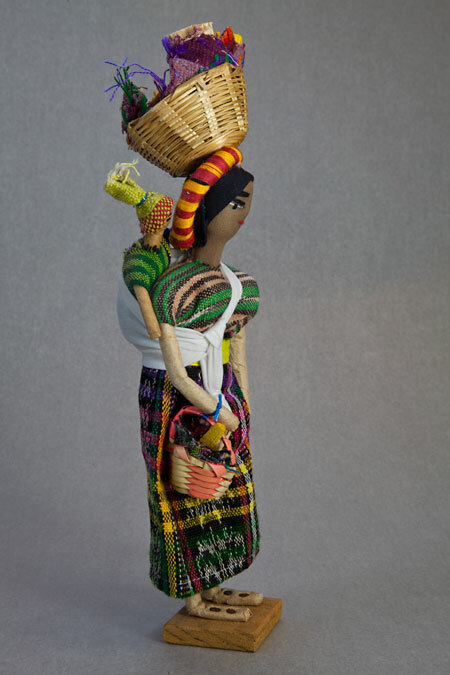 She has a child strapped to her back. 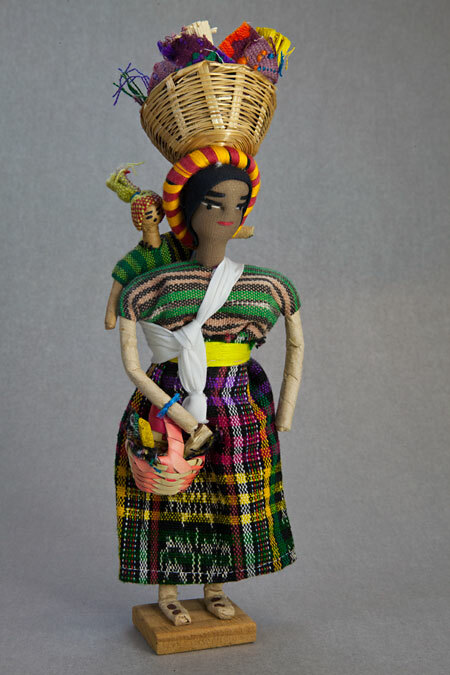 The child is also made with wire that is covered with tape. 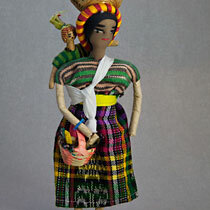 They are designed to depict the culture of Honduras. My name is Jayda and my son’s name is Lejourn. We live in the country near La Ceiba, Honduras. During the day, I work at a cacao farm. It’s hard work, but I love it! 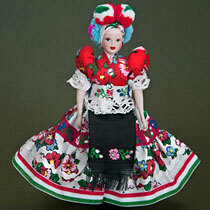 Did you know that chocolate (made from the cacao plant) was “discovered” in Central America? When Christopher Columbus landed on the coast of Honduras in 1502, the native people used cacao beans instead of money. They knew that this rare fruit was something very special. Cacao beans are still the main ingredient used to make chocolate . When a cacao tree is about 4 years old, it grows cacao pods. Then we can pick the cacao pods, open them, and take out the seeds. There are about 40 seeds in every pod. Next, we put the seeds in a large bin and stir them every day. After about 7 days, the seeds are ready to be washed. Then we spread them out in the sun to dry. Finally, the beans are ready to be put into a bag and sold at the market. 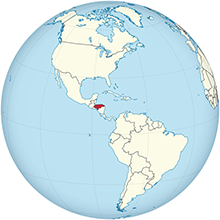 Cacao trees now grow in many parts of the world—areas that have mountains with lots of rain. So, next time you eat a chocolate bar, think about all the work that goes into harvesting the beans for the candy.